Population imbalances have long been an issue in Guild Wars 2‘s World vs. World open-world PvP. The first implementation too often matched up worlds with varying populations, leading to some highly non-competitive — and non-fun — matchups. Then, ArenaNet tried “linking” low- and high-pop worlds together. That made things a little better, but you’d still have cases where some worlds would have solid activity (“coverage”) at all times of the day while others lacked. Maybe the third crack at World vs. World will be the charm. 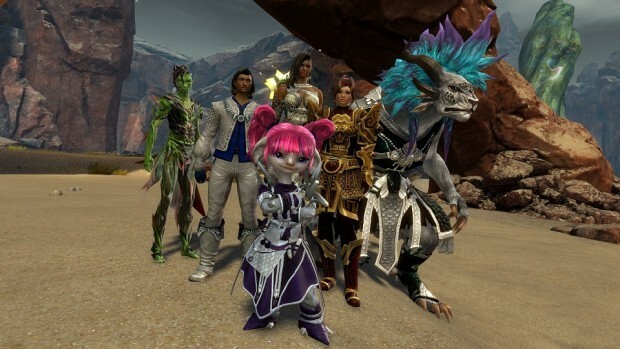 Today, developer McKenna Berdrow laid out on the GW2 forums ArenaNet’s plans to restructure WvW once more, and they alter a fundamental aspect of the system that’s been in place since the game’s launch in 2012. The old worlds will be removed from the equation entirely, with players being assigned to worlds so as to properly populate and balance them. Assignments will be based on each player’s previous WvW activity, with some consideration given to the assignment of friends and guildmates. Guilds can designate themselves a “WvW guild” and have all their members assigned to a particular world, and guilds can still form alliances to all be assigned to an individual world. Seasons will last for eight weeks. Players and guild will be able to transfer between worlds during a season, with some limitations. The cost of such a transfer, as well as transferring between US and EU, has yet to be determined. It will still be a long time — at least several months — before any of this is implemented. In the meantime, ArenaNet is asking for players’ feedback on the proposed changes, which you can leave on the forum post. Not suprised it’s still alive though it’s not once it used to be.